Yum! We discovered no bake energy bites a couple years ago. My boys L-O-V-E, love Lara Bars, but I was looking for something that provided them the same great filling taste at a kinder cost to my pocket book. Plus, homemade is always just better. 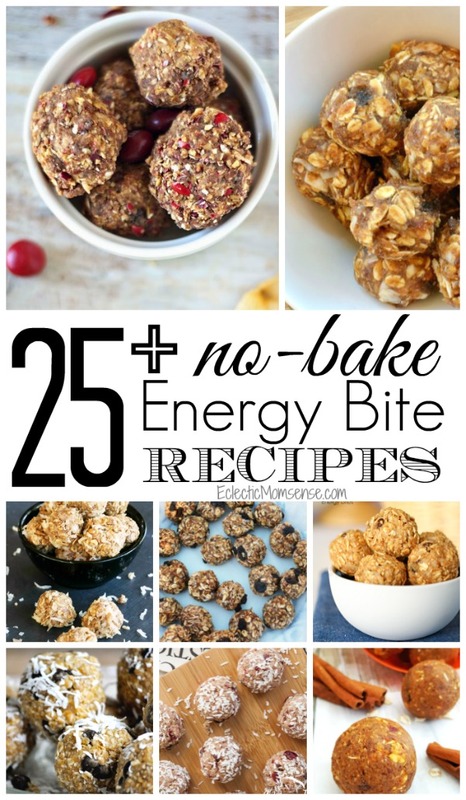 It seems everyone else agrees with how delicious these no-bake snacks are because there are hundreds of energy bite recipes out there. This recipe has been in my top 5 posts for over a year, currently in the number 2 spot. I’ve rounded up my family’s favorite energy bite recipes. From the classic date bites we first made to some adventurous flavors and classic combos like peanut butter and chocolate. 25+ recipes the whole family will enjoy. Cinnamon Raisin | Klienworth & Co. Healthy never tasted so good! Have you tried these before? Share in the comments your favorite no-bake energy bite recipes.